Pretty much done with this guy now. Any ideas on what he’s shooting at? 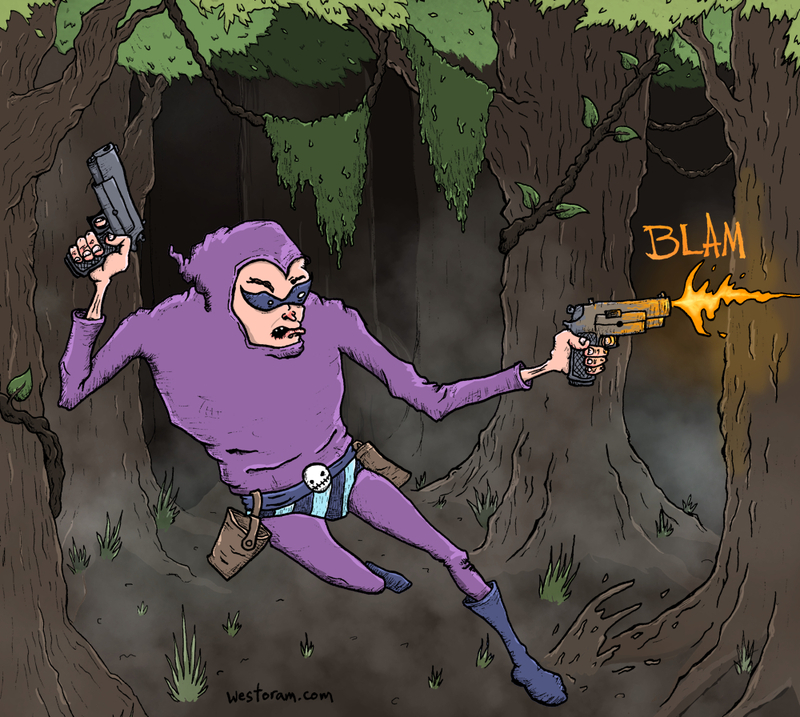 This entry was posted in Fan Art and Mash Ups, OzComics Drawing Challenge and tagged Cartoon, Comic, Jungle, Line Work, pulp, The Phantom, Vines. Bookmark the permalink.